Hispanic Men Often Delay Medical Care : Shots - Health News Men are more likely than women to put off going to the doctor. Hispanic men can face complications of culture, language and cost that make that even more likely. Peter Uribe, a Chilean immigrant in Baltimore, considered a career in soccer. But an untreated foot injury hobbled him. Peter Uribe left Chile at 21 with his wife and 2-year-old daughter, landing in Baltimore and finding steady work in construction. His social life revolved around futbol, playing "six or seven nights a week in soccer tournaments," he says. A couple of years after his arrival, he broke his foot during a game and afraid of the cost, didn't seek medical care. "Some of my family warned me that if I went to the hospital and couldn't pay the bill, I'd get a bad credit record," says Uribe, 41, who made about $300 a week and had no health insurance. "I wanted to buy a car or a house someday." Instead, he hobbled through workdays and stayed off the field for three years; the residual pain is sometimes disabling, even two decades later. For reasons both economic and cultural, Hispanic men are loath to interact with the health system. Women across all races are more likely to seek care than men. But the gender gap in the Hispanic community is especially troubling to health care providers. Studies show that Latino men are much less likely than Latinas to get treatment. That is true even though Hispanic men are more likely than non-Hispanic whites to be obese, have diabetes or have high blood pressure. Those who drink tend to do so heavily, contributing to the group's higher rates of alcoholic cirrhosis and deaths from chronic liver disease. Many take risky jobs such as construction workers and laborers, and are more likely to die from on-the-job injuries than other workers, government data show. Hispanics' share of the population is expected to widen from nearly a fifth now to a quarter by 2045. As that number grows, researchers worry that the nation could face costly consequences as long-ignored conditions lead to serious illness and disability. "It could literally break the health care system," says José Arévalo, board chairman of Latino Physicians of California, which represents Hispanic doctors and others who treat Latinos. And now, some medical professionals fear the effects of President Donald Trump's crackdown on illegal immigrants. "When the community faces this kind of stress, I worry that people will do unhealthy things, like abuse alcohol, to deal with it," says Kathleen Page, co-director of Centro SOL, a health center at Johns Hopkins Bayview Medical Center, and founder of the city's Latino HIV Outreach Program. "That means they may not work as much," she adds. "They'll have less money, which means they're less likely to seek care." Welcomed by Baltimore officials, immigrants have driven the city's Hispanic population, tripling it to 30,000 since 2000. Here, as elsewhere, evidence suggests that for many Hispanic men, seeking health care is an extraordinary event. Hospital data show they are more likely than Hispanic women, white women and white men to go to the emergency room as their primary source of treatment – a sign that they wait until they've no choice but to get help. Some care providers say medical institutions haven't done enough to keep Hispanic men healthy, or to persuade them to get regular exams. "There's been an ongoing need for institutions to become more culturally attuned and aware of bias," says Elena Rios, president of the National Hispanic Medical Association, which represents the nation's 50,000 Latino physicians. There are some significant differences in health risk and illness rates among Hispanic subgroups – Puerto Ricans are more likely to be smokers, for example. Compared with Hispanics born in the U.S., those born elsewhere have much lower rates of cancer, heart disease and high blood pressure. Overall, Hispanics live longer than whites. But these advantages may be dissipating as Latinos become Americanized and adopt unhealthy habits such as smoking and diets high in fatty, processed foods. "I tell people we live longer and suffer," says Jane Delgado, a clinical psychologist and Cuban-American who serves as president of the National Alliance for Hispanic Health. Researchers who investigate gaps in cancer testing have found that all ethnic groups and genders have seen a decrease in late-stage colon cancer diagnoses and deaths in recent years — except Hispanic men, who get screened at the lowest rates of any race or ethnic group. Often, health problems arise after immigrants come up against an insurance barrier. A few years after Jose Cedillo came to Baltimore from Honduras, the 41-year-old cook noticed his legs were often numb or painful. Worried about finances, he eschewed treatment and continued to work, before finally going to a clinic where he was diagnosed with diabetes. 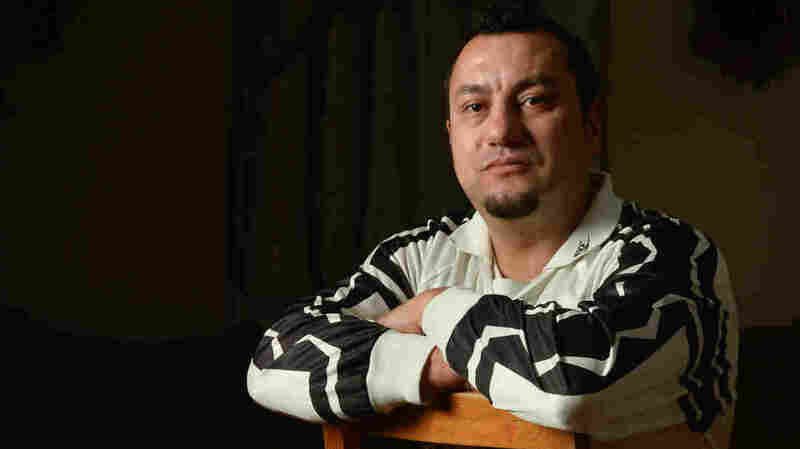 Jose Cedillo, a 41-year-old former restaurant worker from Honduras, struggles to get health care for his diabetes. 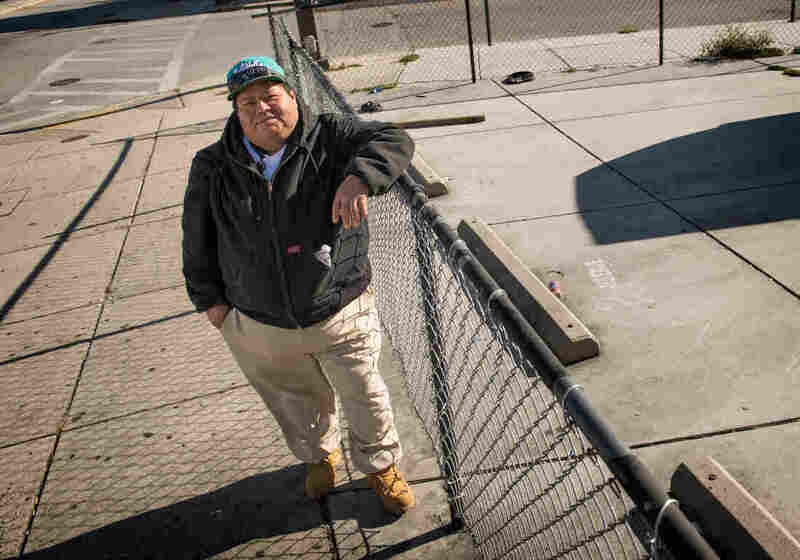 He often finds himself without a job and homeless on the streets of Baltimore. In the seven years since, his health has so deteriorated he can't work, is frequently homeless and spends long stints in the hospital. As an immigrant who came to the U.S. illegally, he is not eligible for government-paid insurance or disability payments. And he can't afford medicine. Instead, he says, "I'll drink alcohol to numb the pain." Part of the problem is that Spanish speakers are underrepresented among medical professionals. After arriving here, Uribe's family members frequently brought along an English-speaking nephew or niece when they could afford to see doctors. Otherwise, "we'd travel a long ways to find a doctor who spoke Spanish," he says. Hospitals frequently lack cultural understanding and bilingual staffing, administrators admit. Though Latinos make up nearly 20 percent of the population, only 5 percent of physicians and 7 percent of registered nurses are Hispanic. That gap has widened as more Hispanics have come to this country during the past three decades, according to a UCLA study released in 2015. "Too often, people don't understand what you're saying, they don't know what you're going to charge them, what dietary restrictions you might place upon them," says James Page, vice president for diversity at Johns Hopkins Medicine. "It creates a trust issue for Hispanics. We've got to get better at serving them." That is particularly true in mental health. Only 1 percent of psychologists in the U.S. are Hispanic, meaning that Spanish-speaking men who do seek therapy will probably struggle to find it. In Baltimore, there is only one Spanish-language support group for men who suffer from anxiety and depression, local psychologists and Latino advocates say. The city employs one Spanish-speaking substance abuse counselor. A small handful of bilingual social workers citywide offer reduced-rate counseling sessions, and only three psychiatrists offer therapy sessions conducted in Spanish. For Peter Uribe, the key to maintaining his family's health is getting help paying for care. His wife and brother both suffer from epileptic seizures, and his brother's despondency caused Uribe to become depressed, he says. In 2015, he obtained insurance for his family through a charity program. With the help of now-affordable medicines, his wife's seizures waned, and he sought help for chronic depression. Since he now speaks English, finding counseling help is easier. "I honestly have no idea what we'd do without it." Michael Anft is a Baltimore-based journalist and writer whose work regularly appears in AARP: The Magazine, The Chronicle of Higher Education and other publications. Daniel Trielli, a data journalist at Capital News Service at the Philip Merrill College of Journalism, contributed to this report. Kaiser Health News is an editorially independent news service that is part of the nonpartisan Henry J. Kaiser Family Foundation. The Annie E. Casey Foundation supports KHN's coverage of health disparities in East Baltimore.